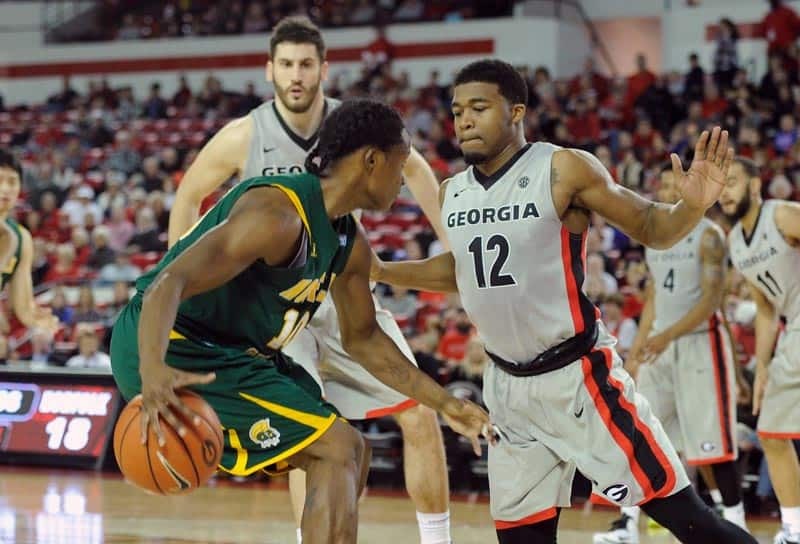 ATHENS, Ga. – The Georgia men’s basketball team started 2015 with a 63-50 win over Norfolk State on Saturday, January 3 at Stegeman Coliseum to round out their non-conference schedule. With the win, the Bulldogs improved to 9-3 on the season, the program’s best pre-conference record since 2011. It was the sixth consecutive win for the Bulldogs, a feat the team had also not achieved since 2011. Sophomore J.J. Frazier set a new career high, leading the Bulldogs with 20 points off the bench. Frazier connected on 7-of-8 shots from the field, including 4-of-5 from beyond the arc. Charles Mann recorded the second double-double of his career with 10 points and 10 rebounds which tied a career high. The Bulldogs took a 36-23 lead into the locker room on a 3-pointer at the buzzer by Mann. The Bulldogs shot 41 percent from the field and ended the half on an 18-5 run over the final seven minutes. Mann finished with seven points and a game-high seven rebounds in the first half while Frazier led the Bulldogs with eight points on 3-of-4 shooting. Norfolk State (9-7) opened the second half on an 8-0 run to pull within five, holding the Bulldogs scoreless for just over six minutes until Nemanja Djurisic ended the drought with a baseline jumper. 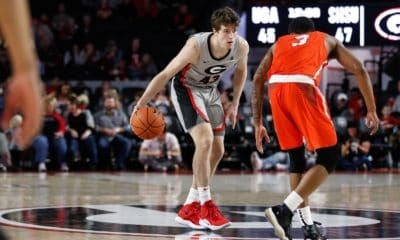 Jeff Short hit a three-pointer to cut Georgia’s lead to four with just over 13 minutes remaining, but Georgia scored seven consecutive points in the next two minutes to go up 11. 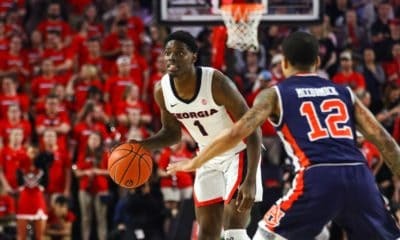 Georgia was able to hold off the Spartans for the remainder of the game as the teams traded baskets for most of the final 10 minutes until a Frazier three-pointer started a 7-2 run to put the Bulldogs up by 13. Short was the only Spartan to score in double digits, finishing with 16 points on just 5-of-15 shooting. As a whole, Norfolk State shot 29 percent from the field and 26 percent from deep. 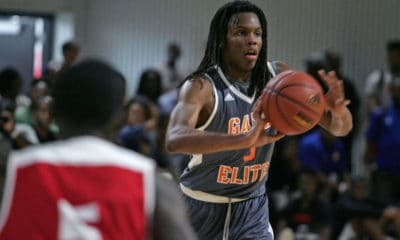 · Georgia’s starting lineup was: Marcus Thornton (72nd career start), Nemanja Djurisic (36th), Juwan Parker (14th), Charles Mann (51st) and Kenny Gaines (42nd). · This was the first-ever meeting between the two schools. · Norfolk State is the eighth team from the Mid-Eastern Athletic Conference that Georgia has played in men’s basketball history. 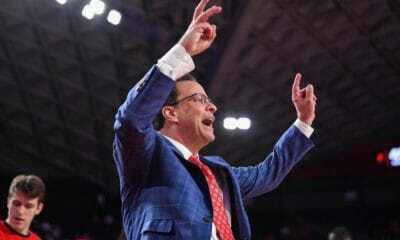 Most recently, the Bulldogs defeated Florida A&M 82-73 in Athens on Dec. 29, 2012. · Georgia is now 7-0 on the season when playing at Stegeman Coliseum. · Georgia improved to 9-3 on the season, posting the program’s best record entering conference play since 2011. · Georgia also won its sixth consecutive game for the first time since 2011. · J.J. Frazier scored a career-high 20 points, making a career-high seven field goals. He also tied a career high with four made three-pointers. · Charles Mann earned his second-career double-double with 10 points and 10 rebounds which tied a career high. · Kenny Paul Geno had a career-high two assists. · Houston Kessler recorded his first-career blocked shot. Georgia will begin SEC play when they host Arkansas on Tuesday, January 6 at Stegeman Coliseum. Tipoff is scheduled for 7 p.m. and the game will be televised on ESPN.